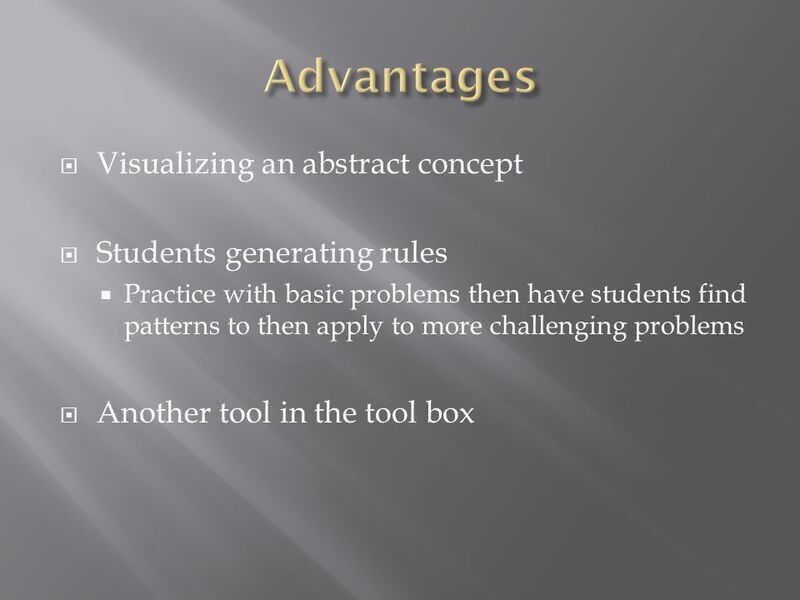 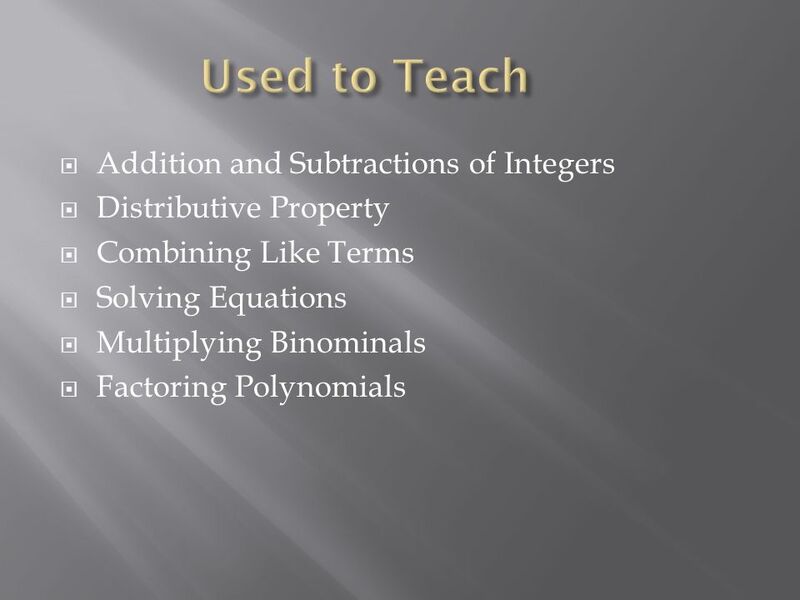 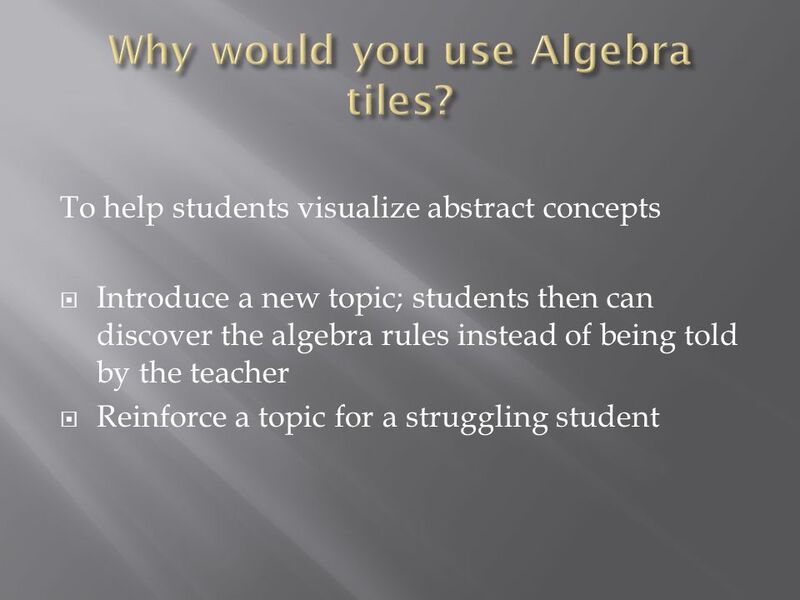 To help students visualize abstract concepts Introduce a new topic; students then can discover the algebra rules instead of being told by the teacher. 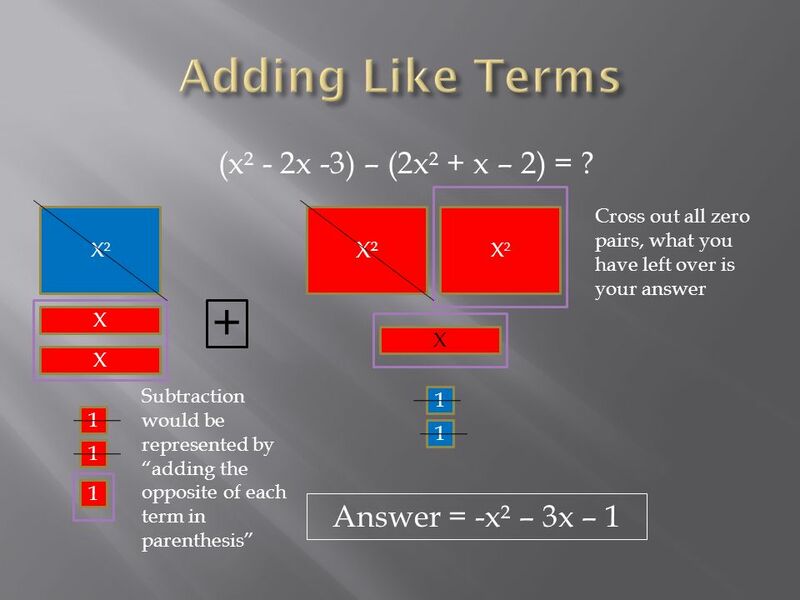 Download ppt "To help students visualize abstract concepts Introduce a new topic; students then can discover the algebra rules instead of being told by the teacher." 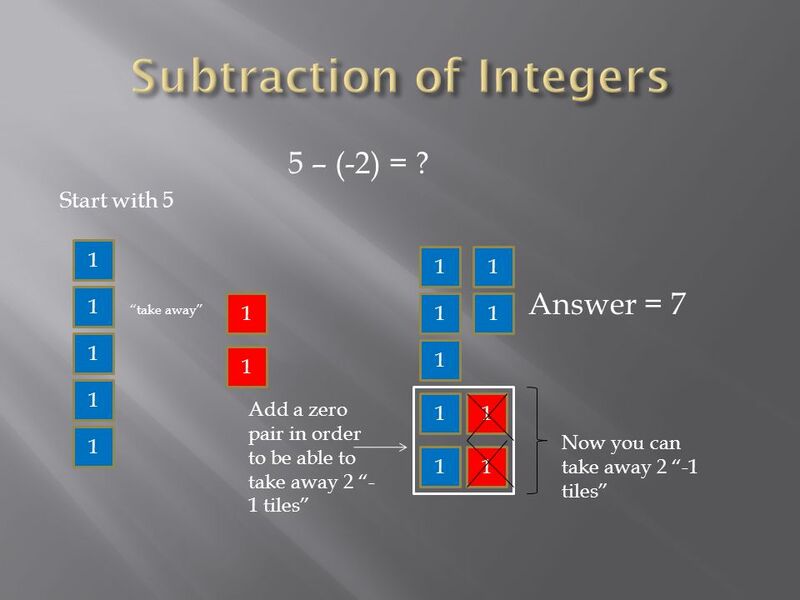 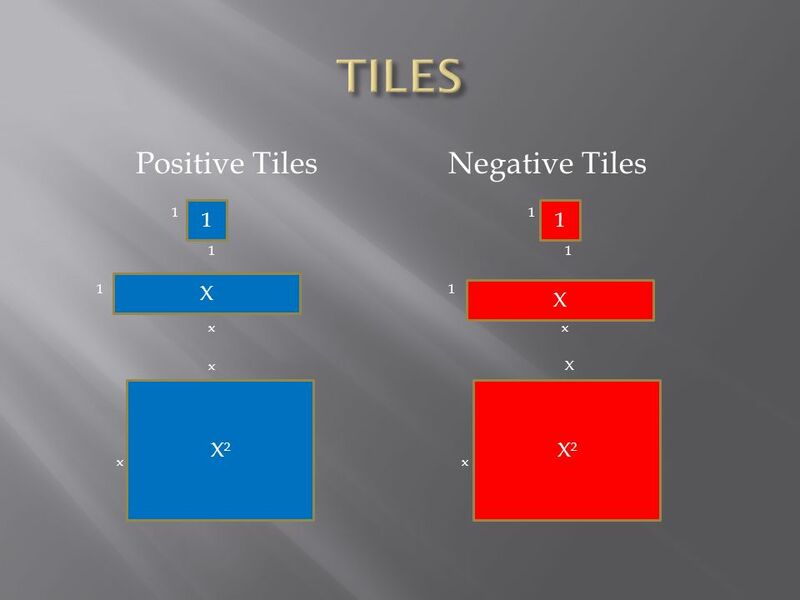 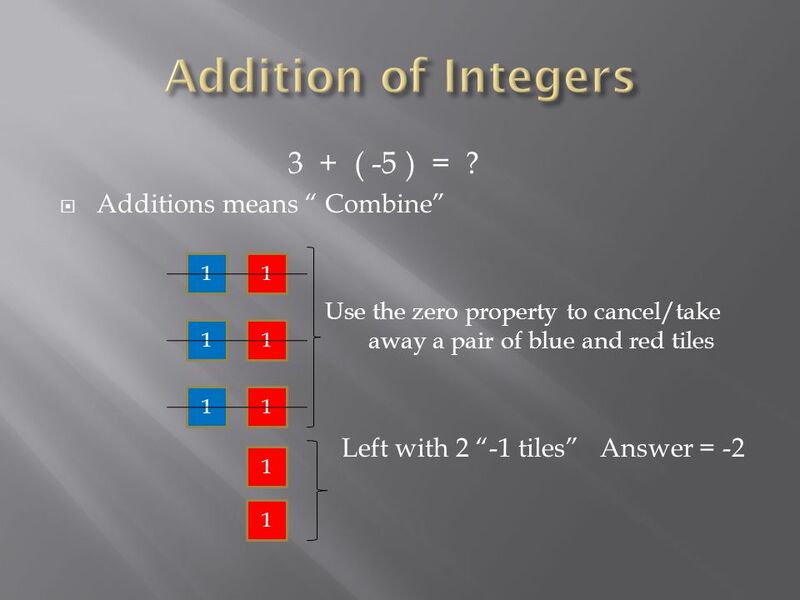 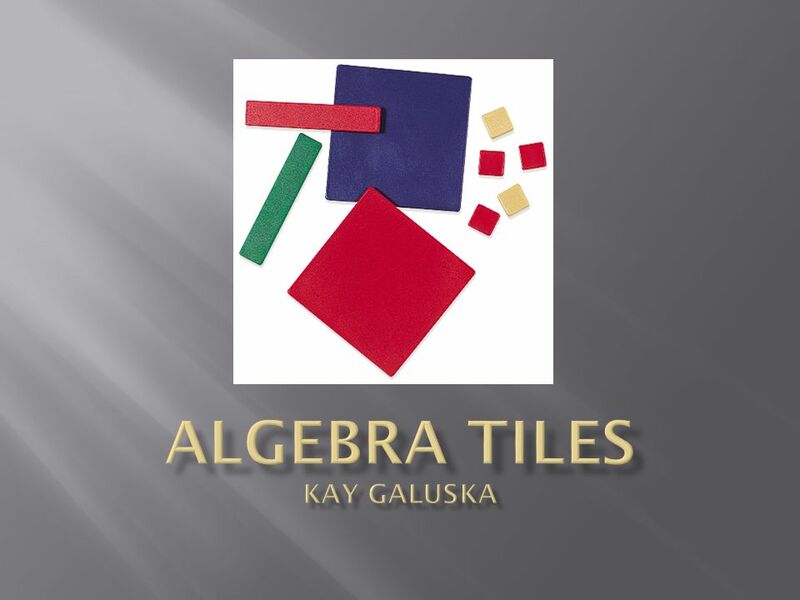 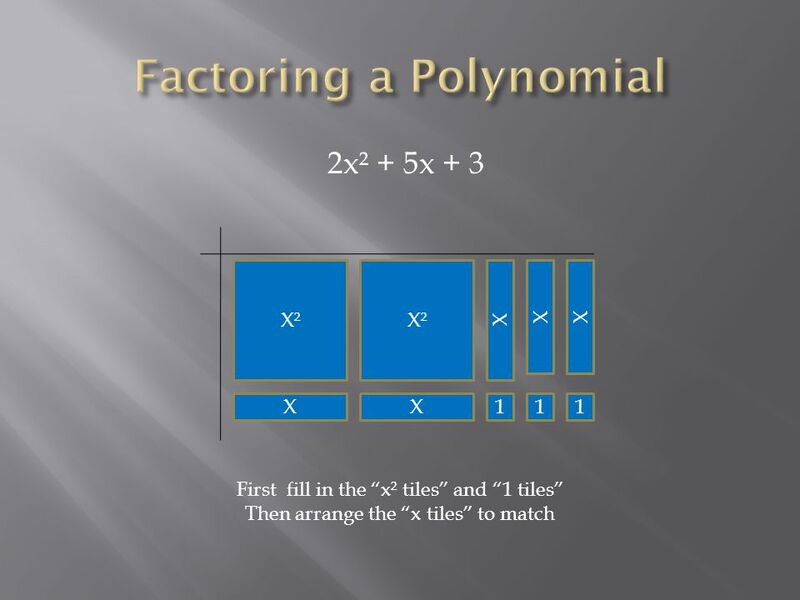 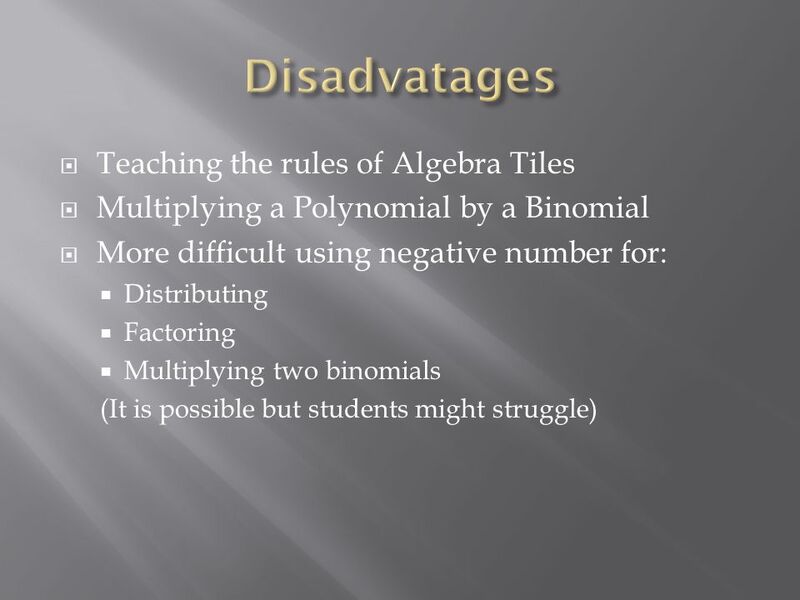 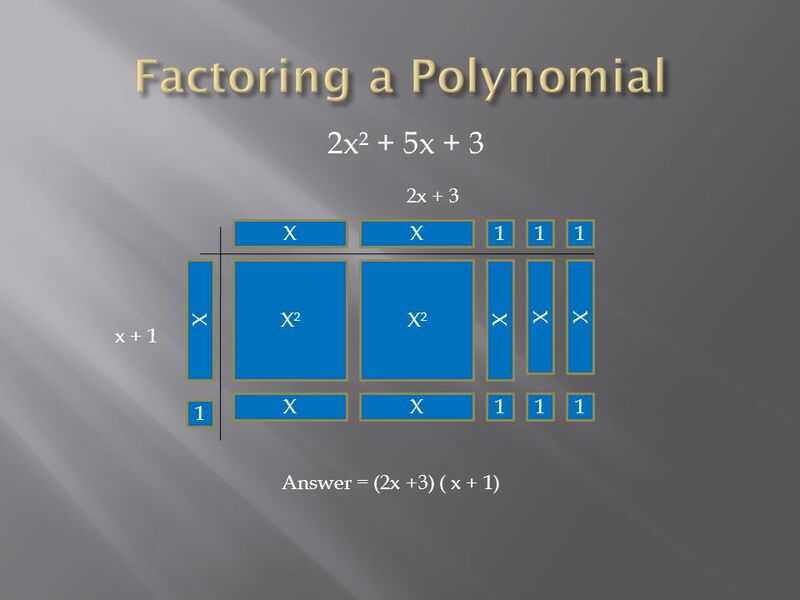 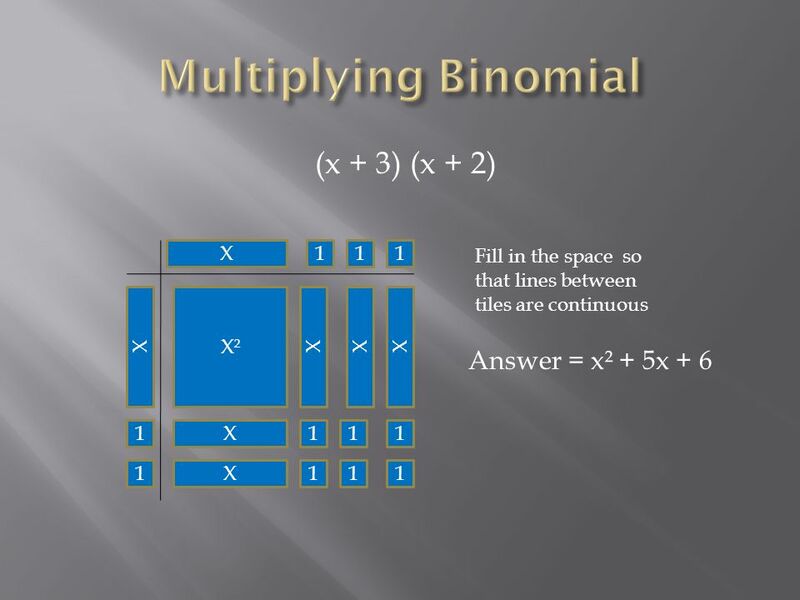 ALGEBRA TILES Jim Rahn LL Teach, Inc.
Let’s Do Algebra Tiles Algebra Tiles Manipulatives used to enhance student understanding of subject traditionally taught at symbolic level. 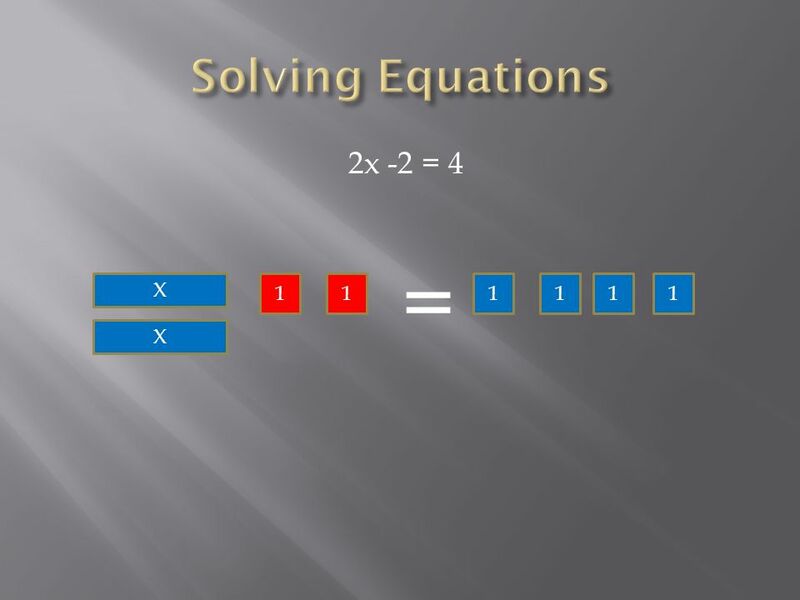 Provide access. 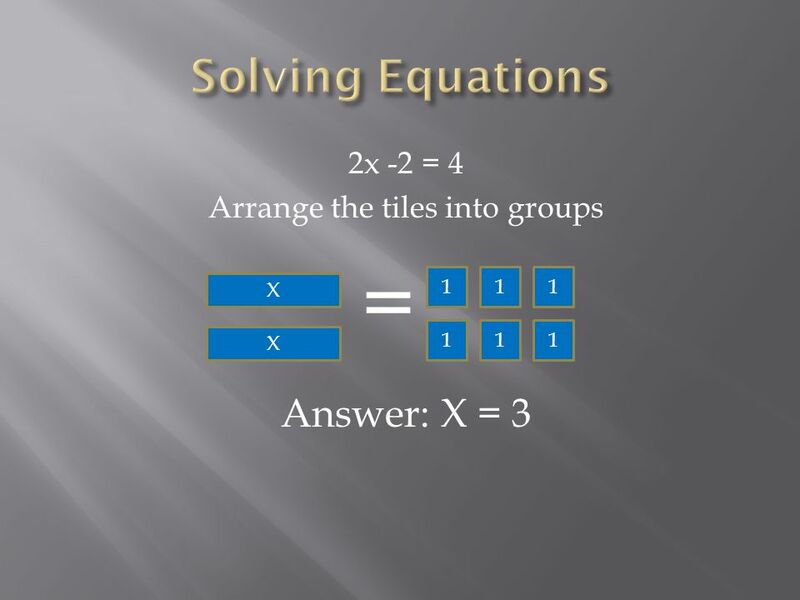 EXAMPLE 4 Solve proportions SOLUTION a. 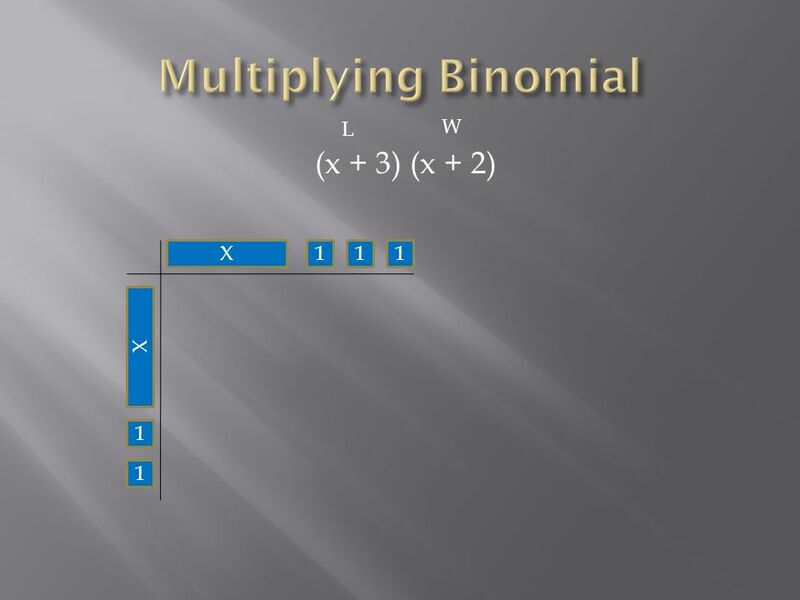 5 10 x 16 = Multiply. 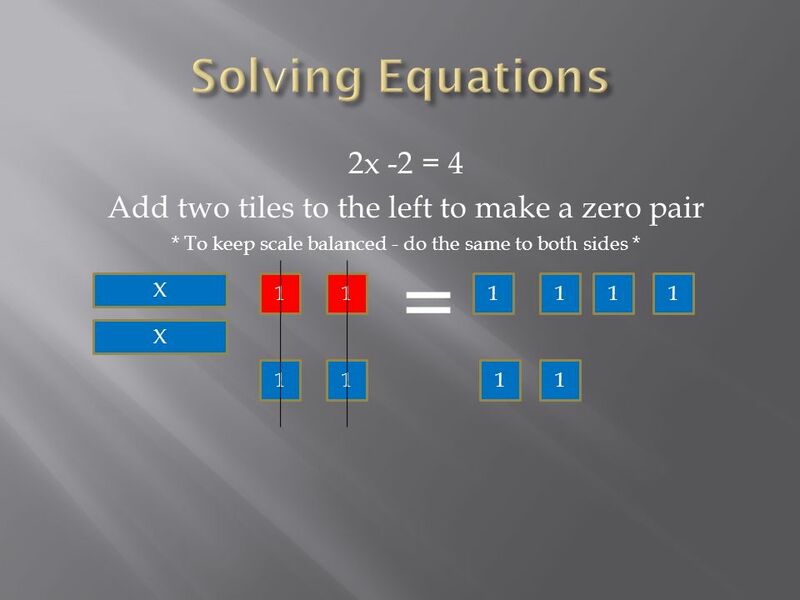 Divide each side by 10. a. 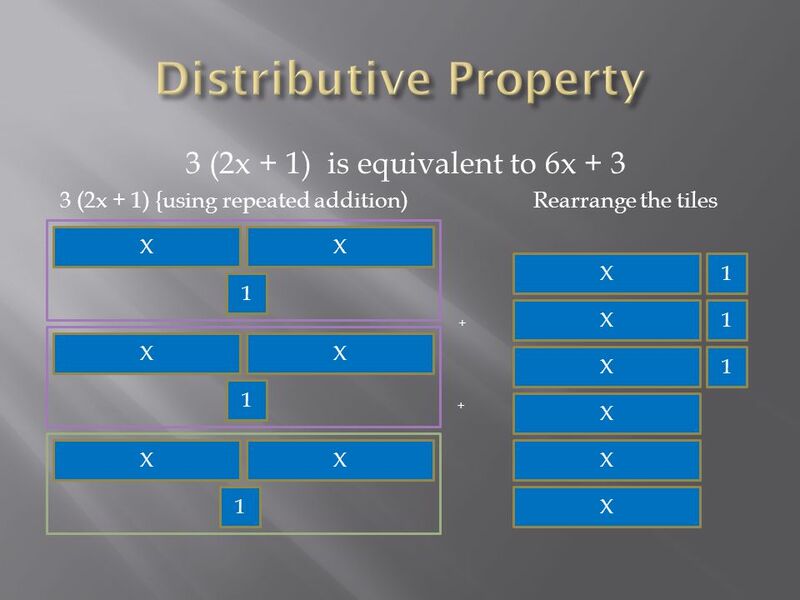 5 10 x 16 = = 10 x5 16 = 10 x80 = x8 Write original proportion.